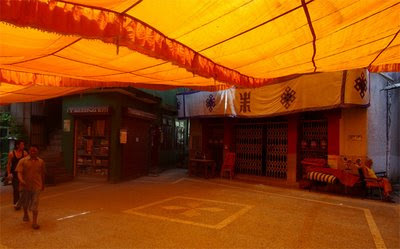 Last prayers today in Majnu ka Tilla for Dalai Lama´s elder brother , Thubten Jigme Norbu, who died in USA. Buttertea afterwards, always buttertea. Norbu (also known as Taktser Rinpoche after their birth place ) wrote for many Westerners the first introduction to Tibetan self image , Tibet , it´s religion , history and people , together with anthropologist Colin Turnbull.